Seventy years ago, the United States dropped the first of two atomic bombs on Japan. At the time, the US was the only country with nuclear weapons. That wasn’t for a complete lack of effort on the part of other countries, however, and new documents found heap more evidence on Japan having a program of its own. It’s been known for some time now that Japan had some degree of nuclear weapons research going on during the war. Two main projects are thought to have been undertaken, Operations Ni-Go and F-Go, respectively, but it’s a bit difficult to ascertain how far they actually progressed. The programs were, of course, secret at the time, and many of the documents involved were either destroyed by the Japanese government as the war came to an end or confiscated by the Americans. A retired professor at the state-run Kyoto University recently discovered a blueprint at the school’s former Radioisotope Research lab, Japan’s Sankei newspaper and other local media reported recently. It appears as if the program was more aspirational than anything else. By 1945, the American Manhattan Project was in full swing, employing over 100,000 people. It managed to compile more than 100 pounds of highly enriched uranium, some of which was eventually used in the Little Boy bomb over Hiroshima. Wilcox, who has been researching the program for decades, said Japan’s problem was not a lack of know-how. 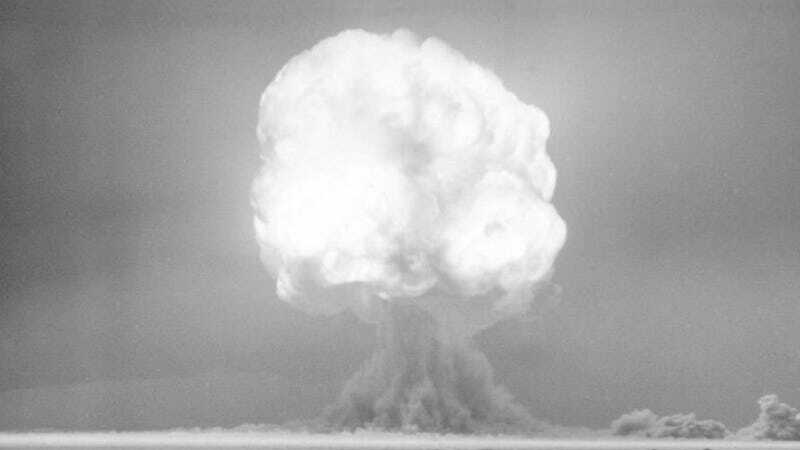 Japan likely would’ve used atomic bombs if they managed to develop them in time, however, a widow of one of the Japanese atomic program’s scientists said. But while the atomic bombings that ended World War II were horrific, they would have been much worse if more than one country possessed the awesome power of nuclear weapons.